Undeterred by the rough treatment in their first Trans-Am outing, the Duntov team came back for round two. There were all the usual suspects, plus Paul Tracy, the Indy car veteran with a legendary attitude. Tracy made sure everyone knew he was there to win, but he didn't exactly show as much speed as he did attitude. The front row was a Mike Cope Mustang lockout. Cope and Howe are the two approved TA2 builders, an exclusive arrangement Duntov would like to join. The pole sitter at Sebring, Rafa Matos, qualified 5th. 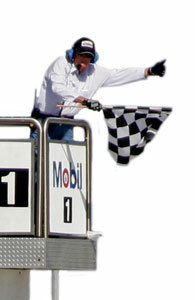 His teammate, Paul Tracy, in an identical Camaro, was 10th quickest. Edward had issues with the transmission linkage in his three year old rental Camaro, and it hung up between gears on his only clear lap during qualifying, and he ended up only 17th quickest out of 26. The Duntov crew fixed the transmission between qualifying and the race, and after the green flag, Edward worked his way up to 7th, passing Paul Tracy in Turn Three on the last lap. Unfortunately, Edward's race ended against the wall outside of Turn 7 twenty seconds later after Tracy intentionally rammed the right rear corner of the Duntov Camaro. Later Tracy bragged on Instagram that he used the "chrome horn" to get around Edward, and even posted his in-car footage as proof. Unfortunately, Tracy got a free pass because of his celebrity status, but he made no friends that day in Texas. Duntov spent a lot of money running two TA2 races, both of which ending up with wrecked cars. In spite of that, it was a good experience, and TA2 lived up to its reputation as a great place to race. Even ending up against the wall outside of Turn 7 and not taking the checker, the Duntov car finished 13th and earned prize money! Racing is a deductable expense for Duntov Motor Company, but for Duntov’s clients who can’t deduct vintage racing expenses, racing in Trans-Am is a different story. Racing expenses are in the pursuit of prize money. It is professional racing, and expenses incurred in the pursuit of prize money are deductable, just like expenses are deductable in any other professional endeavor. Ironically, many of the racing expenses in SVRA Group 6 are significantly less in TA2, for example: initial cost, tires, engines, and fuel. 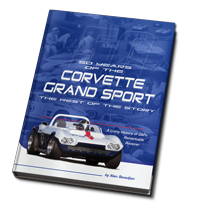 No more old rent cars are on the horizon for the Duntov team. 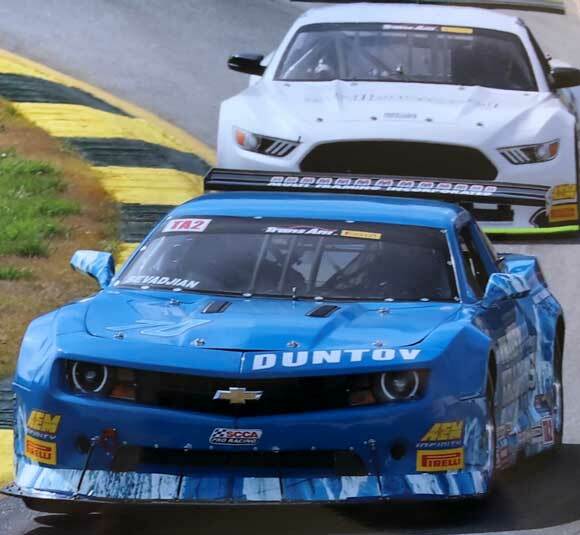 The plan going forward is to seek approval from Trans-Am to run a Duntov Camaro chassis derived from the Howe car, and once approved, to enter as many Trans-Am races as possible in 2019 with as many Duntov client cars as can be signed up in the interim.